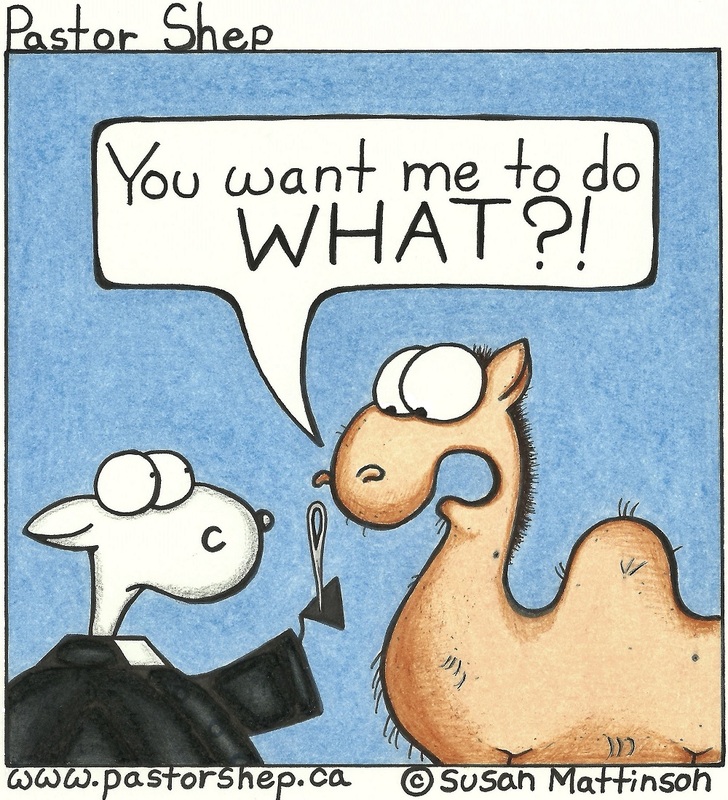 Pastor Shep is a weekly Christian comic strip that pokes fun at the blunders of ministers as they struggle to be followers of Christ and leaders of people. ​It also celebrates the quirky family of faith that we've come to love and call "the Church". Pastor Shep © Susan Mattinson, 2012-2019. Reproduction permitted with permission of creator. All Rights Reserved. ​written by the talented Marianne Jones. The book is now available in the Shep Shop! Pastor Shep will have the pleasure of travelling to Israel on Feb. 13-23 for a Holy Land study tour! 'Like' Pastor Shep on Facebook or follow on Instagram to see pictures of the trip. Also, please note that I'm currently having issue with the contact form on my 'Contact' page. If you'd like to contact me, the best way is through email or via Facebook or Instagram. ​​​Thanks for your continued support!